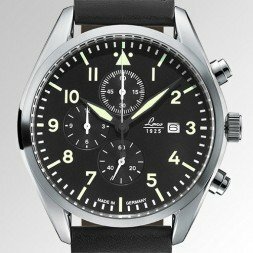 The traditional type A and type B spheres of aviator watches have a date of creation, the year 1936. 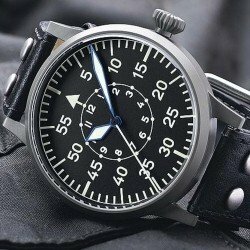 At that time the watch was one of the most valuable navigational instruments that aviators had. 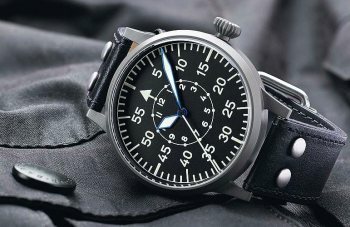 Conscious of this in Germany, standards were set for its construction, not only for precision in the measurement of time, but also in apparently less important details, which made these small handicraft works valuable tools for the still young aviation. 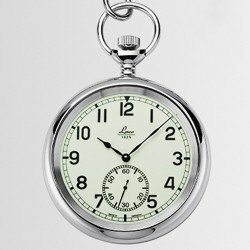 The structure of the two spheres, which are highly readable and sterile (the originals and the most faithful models do not have the logo printed on the front), is normalized, blind and threaded backgrounds with all the construction information of the recorded clock, (brand, rule that follows , place of manufacture ...), sandboxes to avoid reflections, diameter of the boxes (some titanium 55mm that allowed the insertion of the precise machinery of pocket watches), numbers visible in the dark, and some crowns of diamond or onion that could be easily manipulated with gloves. 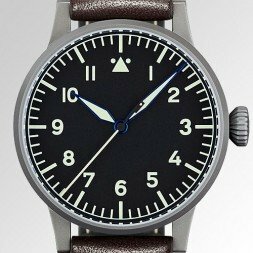 Laco was one of the five authorized signatures for the realization of these watches, and one of the only two, together with Lange, who manufactured their own calibers. 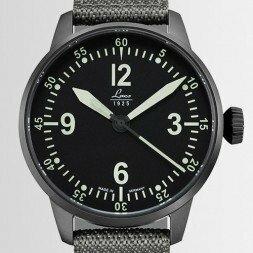 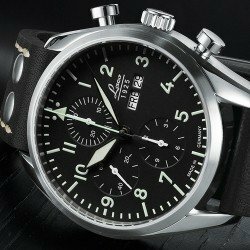 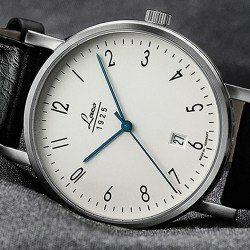 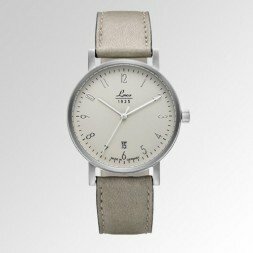 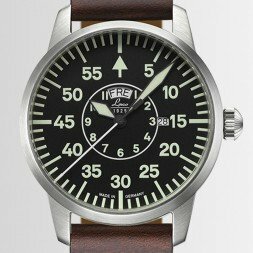 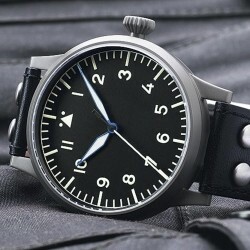 Nowadays, Laco, true to its watchmaking tradition, continues to manufacture Aviator watches type A and type B, adapting sizes and machineries to the current times, and exporting from Pforzeim watches manufactured under German standards all over the world.